Have you had a problem with the SIM card slot of your Moto G5 Plus smartphone? The SIM card and microSD slot on the Moto G5 Plus is causing much confusion among users. 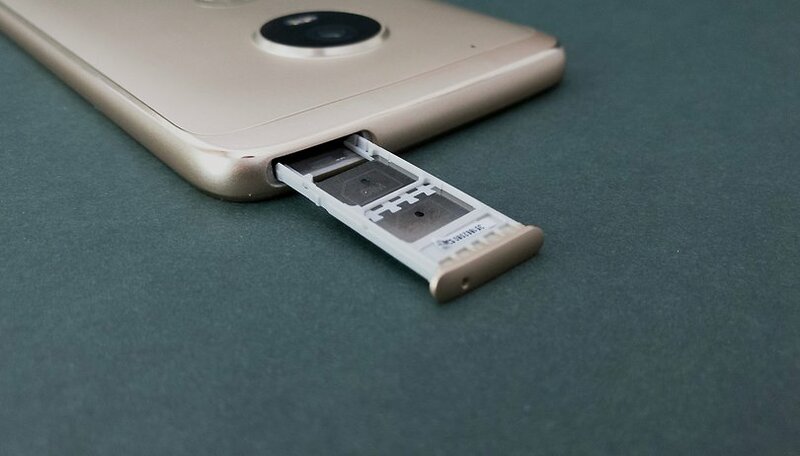 Some users of the Moto G5 Plus are using the slot wrong, causing the device to swallow people's SIM cards - the slot can take one nano SIM card and one microSD card OR two nano SIM cards simultaneously. The model is the first to feature a removable internal tray, which featured on the brand's more expensive models. This type of tray was adopted by Motorola in the Plus model because the rear part is fixed. However, users who have never used a device with this feature before are having some problems with the Moto G5 Plus, as cards are getting stuck inside the phone. There is a single-SIM and dual-SIM version and the single-SIM version is the one causing problems. The SIM card should be inserted on the top of the tray and the microSD underneath. In the case of the single-SIM version, there is only one compartment at the top. The model guide that comes with the device contains instructions for both and as such, users are finding that by placing a second SIM card in the memory card space, this model can be "transformed" into dual-SIM. When placing a second chip in the space that is reserved for the microSD card, the microSD card gets stuck when inserted back into the device, causing the user to seek further assistance. However, since the cards have different dimensions, these users are forcing the wrong chip into place. First, you should be aware that the Moto G5 Plus uses nano-SIM cards, so make sure you have the right size card before you start. Remove the slot with the help of the tweezers that come in the box. Place the SIM card on top and the memory card underneath, following the position of the illustration in the guide. Make sure that everything is securely in place (without forcing it) and put the slot back in the same position it was in before you removed it. You can also use only a SIM chip alone in this tray by placing it in the first space. Have you encountered this problem? What did you do to fix it? There is a sim card issue with the phone that is not a user issue but rather a device issue. The device may work fine for hours or even days, then suddenly the sim card is no longer detected. There are several people on the Motorola forums with this issue, not only with this device, but with the G4 as well. I bought this phone specifically for the dual sim capability, as I was moving to Europe and needed to switch to GSM from CDMA (Verizon). I went to Best Buy to buy an unlocked, dual sim phone. I specifically asked twice to confirm it is dual Sim, as I wanted Sim 1 on T-Mobile in the U.S. and Sim 2 on my new Belgium mobile provider. I was assured it was dual sim. Mine is not. When I tried to add a second Sim card, there is no slot for it. Now I am stuck with a single Sim. Is there a way to determine from the serial number or other external box marking dual sim or not? Highly recommend VISUALLY verify before taking the phone. they had to replace the phone. ill never trust them to handle my phone. Now i personally take a great deal of care when installing SIM cards, SD cards and especially useful and very innocent looking plastic adapters​ that when used incorrectly can be a major problem.. ie you can trash your phone..!